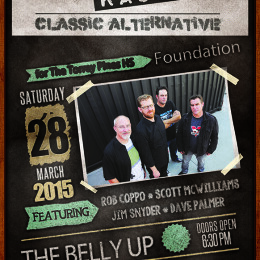 We’re thrilled to be able to grace the stage of the famous Belly Up Tavern in Solana Beach this Saturday, March 28th. 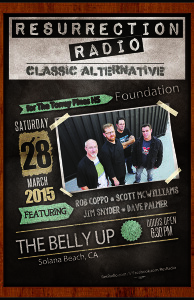 We’ve all seen some amazing shows there, and we hope to do the room justice. We’ll certainly be energized and motivated by the room and its history. Come see us, and we’ll also post video in the not so distant future.